Will this really be a happy new year? It’s New Year’s Eve. … not really. I started this piece on New Year’s Eve but couldn’t bring myself to finish. Though the entire story isn’t finished, I sit here, another morning, this time in March, trying to make more headway. Back to my original draft on the morning of New Year’s Eve – This morning as I drink my coffee I realize with honestly not a bit of surprise that I don’t bother any longer wishing the new year will be happy. I don’t toast and laugh at midnight. I do offer that wish to others, more out of common courtesy, but for my family and me, we simply hang on now and hope/pray that the new year, though not necessarily happy (though who wouldn’t want that?) won’t be unhappy, tragic, fearful, or heartbreaking as the last few have been…one after another. Like all families we have had our good years and those that were not so good. We’ve lost loved ones to age and illness, but though we’ve grieved from the bottom of our hearts like most families do, and though we’ve had trouble getting past those griefs, they were expected. We will never recover fully, but we have learned, for the most part, to live our lives again, to have happy days, to celebrate occasions that deserve celebrating, and most of all, to smile again. We’re a resilient bunch who love wide and deep, so we are most often optimistic. We saw our own world as a friendlier place, one that wouldn’t necessarily kick us in the gut or bring us to our knees. That was all before the past few years. Now we tread a little more lightly, and though we are people of faith, we take nothing for granted. Beginning in 2014, with the diagnosis of my younger daughter’s breast cancer, our world became a landscape we’d never traveled. We had no maps or fancy navigation apps to get us from one day to the next. 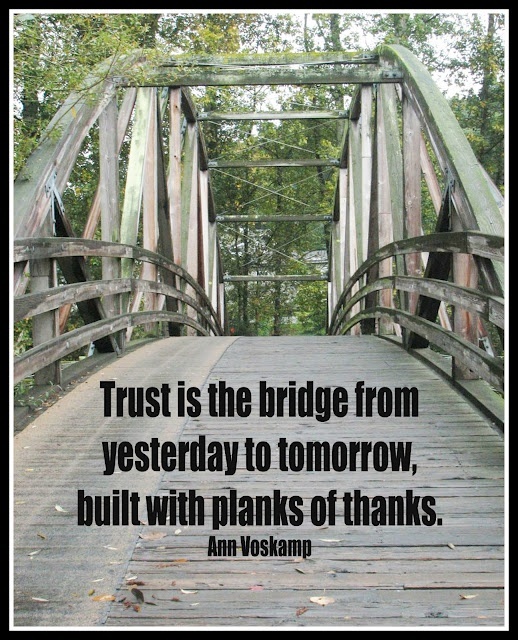 We had only the medical community who knew the territory, and we had to put our trust in and follow people we’d never met. It wasn’t a comfortable place to be. My daughter was young, in her thirties when diagnosed (I wrote about it here at the time). I was beyond the well-meaning words of comfort people would generously offer; I saw only my daughter, her diagnosis, and where it was taking her. I was dangerously close to growing beyond faith and prayer. Fear gripped me like it never had, and I knew that despite my need to keen like a wounded animal, I would instead be strong for my daughter; I would NOT be another worry for her, knowing she would worry if I showed my true feelings. Now, later, looking back on that time, I have learned that I wasn’t fooling her – she could see how I felt – but she at least didn’t have to deal with my wearing my worry on my sleeve, or my thinking her diagnosis and the medieval horror chamber the hospital became to us were mine to suffer. No, I knew who the real patient was. Unfortunately, for that time I forgot I have absolutely no poker face (my face instead announces my feelings ) so though my words and actions were those of a strong mom, a “lean on me, darling” type of mom, she could read me like an open book. Still, my greatest wish, after my constant plea to God for her complete recovery, was that she would know her mother was there, always there for her, and feel that maternal love she had known all her life. Her mother was there, and God was there for both of us. In our need to run far from this pain, this fear, this ferocious thing that seemed inescapable, God was there. He held us in place when we were too caught up in the moment to hold ourselves. At the very minute that she heard the diagnosis, she was one day away from leaving on a plane with her children to fly back to Malaysia where they’d live for the past four and a half years. We live in Louisiana. My daughter and her husband had moved with their children to Kuala Lumpur when he took a new job as a civil engineer there. They were to stay only two years, but they ended up staying longer. Hearing the diagnosis, fear gripped me about the cancer, of course, almost piggy-backed by the fear that she would follow through with her plans, fly back to Malaysia, and seek treatment there. Though I’d flown to Malaysia twice since they’d moved there, the thought of her seeking medical treatment in a place where we had no reason to trust the medical community was racing through my mind at a speed I can’t describe. Thankfully, both she and her husband (who’d flown back ahead of her and the children) immediately agreed that she should seek treatment at MD Anderson, and fortunately for us, that hospital was only two hours plus from our home. Her husband flew back to accompany her for her first visits to the hospital, the countless tests, and then their diagnosis. Once the date was set for her surgery, he flew with the two school-age (but so young) daughters back to Malaysia so they could start school about a week late. He would return for the surgery. So we spent time in what I can only compare to Hell together, along with her sister (my older daughter), the three of us becoming a traveling troupe to and from MD Anderson for what seemed like every week until the surgery. It’s true what we had heard, that when someone has cancer the entire family has cancer. So very true. During this time, my husband practically lost his wife. Sweet man, he knew that I was using all the emotional reservoir I had for my daughter, so there was nothing for him. He understood because he was frightened just like the rest of us. From diagnosis to surgery to chemo to radiation to reconstruction took one and half years of my daughter’s life, most of that time sick, some of it curled up in her bed in a fetal position, the covers over half her face, unable to move and at times unable to endure even the lightest touch of comfort from me. Those days the drapes stayed drawn in her room, and her only company was the stillness and darkness of her surroundings, interrupted only by me, walking as softly as I could manage, taking one of my several daily peeks at her. She was so incredibly weak, so incredibly helpless, so incredibly vulnerable and sick. Her body’s white cell count became one of the most important things in our universe, since her blood count taken before each chemo treatment determined if she would even be allowed the treatment scheduled for that day. She was defenseless against any germ, and at least once she had to be hospitalized for several days with a sinus infection. I’ll never forget when we saw her oncologist only days after she was released from the hospital, when it was time for her next visit with him and her next chemo. She was as weak as anyone I’d ever seen, tempting me to support her as she walked through the hospital to see her doctor, but knowing she would never allow that. Her doctor, knowing of her hospital stay, offered to reduce her chemo dose, but my determined daughter with her seemingly Wonder Woman mindset, while having trouble sitting up on the exam table to discuss it with her doctor, insisted on the full, 100% treatment. He and I exchanged glances, but he knew my daughter by then, knew her willingness to push herself as hard as it took to rid her body of the deadly interloper, the uninvited guest that threatened that she might miss seeing her children reach adulthood. He acquiesced, knowing better than to argue, and she was given the full dose, but she paid for it (though she would not admit it then). There were days when, still choosing to remain in her bed, she could sit up and eat a little something. Eventually, when enough time had passed since the last dose of chemo, she’d manage to walk into her family room and spend some time on the couch, I mean lying down on the couch, a huge victory for her. It was a victory shared with her family, since the children were always happy to see her out of the bedroom. They were always allowed entry to her bedroom, though; never did she want her children kept from her, but the sight of their mommy on the sofa, even if lying down, was a boost for them allowing them to feel a sense of normalcy, if only for a short bit of time. She and her family moved to Katy, TX to be near MD Anderson in Houston, Blessedly, my husband and I are only a bit over two hours away from the hospital, more from her home, but I was to travel that route constantly during her treatment, more accurately named her battle, and to care for her three children while she endured what she had no choice not to endure. Her husband took a new job for the move to Katy, and so he wasn’t free to go in late or come home early. I dropped my precious, young grandchildren off at school in the mornings, picked them up in the afternoons, and even helped with their elementary school homework. The youngest, three years old when his mother was diagnosed, turned four during the worst of it, grew into a master at entertaining himself in his solitude while his sisters were at school, dad at work, and I preoccupied with his mother. No matter how I tried to give him attention during the day, and I did, I would be pulled back into the snare of the cancer. Cancer is a trap from which there is no escape hatch. The only way to beat it is to endure the torture of it, the treatment for it. It’s not simply an illness. While my daughter endured the torture, and she did like a champion, we – her family – tried to avoid thinking of her mortality. I know now how afraid she was, although all she would show me then was a brave face. Not true – she did let me see her vulnerability and raw fear a couple of times, but only because she couldn’t push it down. She never wanted any of us to see it. I know now some thoughts she wouldn’t share with me then. She will reach her five-year mark in August of this year, so when that day comes, maybe it will be a happy year then. I know we’ll celebrate it. As I said, my younger daughter’s diagnosis was in 2014. We have no history of breast cancer on either side of the family, so we were understandably shocked by the diagnosis. It was to get more bizarre and much less like reality. After her reconstruction surgery in January of 2016, which was something so unbelievably horrific it should not be allowed, her older sister (by two and a half years) was diagnosed. Breast cancer visited our family again. Now total disbelief set in as we all prepared for Round Two with the monster we had come to know so well. My husband prepared, too, for by now he was also a warrior in his way in the fight against our daughters’ cancers. My older daughter lived only nine miles from us, so her illness involved trips from our homes in Louisiana to MD Anderson for the doctor appointments and chemo treatments. As with my younger daughter, often visits to the hospital would be coupled together over two days or perhaps more, so we’d stay with her sister when that happened. Her younger sister, now helping to navigate this new journey while fighting her own PTSD, walked the familiar halls of the hospital once again, sat in the same waiting areas once again, and endured once again. It had been only four months since her reconstruction surgery. She was still not herself, but she pretended to be as she helped big sis with all that is necessary to know and do when a cancer diagnosis is yours to fight. As before, the three of us spent hour upon hour in that hospital over a span of many months sitting together awaiting either an appointment or a treatment, and as before, a daughter would spend hours and days dealing with the effects of chemo designed to cure her but seemingly designed for toture. This daughter had what people think of as the typical effects from chemo, inability to eat, severe nausea, and dehydration. Nothing tasted good to her, and forcing herself to try anything resulted in nausea and dry heaves. We took her several times to the ER for that, and she was admitted more than once, Her blood count, the whites and reds, would be off-kilter from the poison called chemo coursing through her veins. Each girl was different during the time following a chemo treatment. While her sister had made a sanctuary of her bedroom, this one preferred to lie on her sofa most of the time. No real traveling was required for me since she is only nine miles away from us, and no school drops or pick ups were required, but I remember watching her head (wearing its knit cap from hair loss) as I sat, sentry-like, behind her in one of her living room chairs behind her head on its perch on the arm of her sofa, both of us facing the same direction, looking at the television but not really seeing. She, of course, would doze from time to time, and I was grateful when for those moments when I knew she had drifted away from the indescribable misery. I didn’t want to take any room on the sofa, but I wanted and needed (in my heart) to be as close to her as possible. Her husband works in Alaska for two weeks, then he is home for two weeks, so on the weeks he was home I was more scarce around her house unless she needed me. Many a time when I was with her, only the two of us, she’d be hungry, so hungry, and at times she’d even think she could eat. I’d bring her something, whatever she’d asked for, and she’d maybe be brave enough to take one bite. Maybe. She would look at the small morsel of whatever food was in front of her, and try her best to summon the courage to try it, knowing that she would pay dearly for only one bite. At best the one bite would unsettle her stomach worse than it was already. At worst the one bite would make her even more sick than she was minutes before trying, resulting in dry heaves. She kept “barf bags” near her at all times. Truthfully, where she was there were her barf bags. I ordered them from Amazon more than once. She lost 30 pounds in four weeks. Yes. It was hard to watch, so hard. Though the girls reacted to the chemo in such different ways, my witness was the same. Heartbroken and horrified. Frightened for my daughter, beyond sorrow that she had no choice but to endure the poison of the chemo. Eventually, as with all things in life, she finished her treatments, but not until they had tweaked them so her reaction would not be so severe, she had surgery and then reconstruction. Not before during one of her hospital stays when she and I alone endured four days and nights in a hospital room no bigger than a large closet. Her husband was at work in Alaska. She would fall asleep for the night much earlier than I; to even fall asleep at all I took strong sleeping pills for which I profusely thanked my doctor, The result of that situation was less than ideal. When my weak child would wake at night needing the bathroom, I was so deeply asleep, having stayed awake hours after she slept and then drugging myself, she would have to unplug her own IV pole and make her way through the maze of the tiny space between her bed, my chair, and the door to her bathroom. I never stirred, never heard her, and learning that was happening, thought myself to have failed as her mother. Even more: At the same time my younger daughter was diagnosed in 2014, my younger sister was diagnosed with colon cancer. It still surprises me to type it. They were diagnosed a month apart – my younger daughter, and my younger, only sister. We did have a family history of that, but only through one set of grandparents, so it was still surprising and still, of course, terrifying. Through surgery the doctors “got” the cancer, but because she already suffered from fibromyalgia, her chemo wreacked such havoc on her system that the doctors were forced to reduce the strength of her dosages. I remember driving where she lived, almost the same distance that we drove to Houston for my daughter, but in the opposite direction. I was there for her first chemo. Of course, her husband was her caregiver. I was not there for the after effects, and to this day I regret it, but I had to be with my younger daughter. My sister never finished the chemo treatments. At the same time my older daughter learned of her cancer diagnosis in 2016, my sister’s colon cancer had metasticized to her liver. We were, as you would imagine, in disbelief from the second diagnosis of breast cancer along with my sister’s news about her liver. I remember that my feelings and mind were ricocheting between the two diagnoses. It was too much, too much. A surgeon successfully removed the spots of cancer on my sister’s liver, hallelujah, but she took no treatment. Not after the first time. My dad had moved in with us a bit before the second diagnosis of breast cancer, the one for my older daughter, and my sister’s metastatic liver cancer. He was not ill, but he’d lost his driver’s license and couldn’t live alone without the independence of driving himself where and when he wished. His move to our home, though we were relieved and thankful, was a hard one for him at first, but he adjusted beautifully. He was already close to my husband, and he and I had always had a close father/daughter relationship, probably closer than most, so his move was almost seamless. The first problem we encountered was that he seemed to have some confusion. It led to his unintentionally breaking a few things in our home, but we realized it was a small price to pay for having him with us, to allow us to make sure was comfortable and getting what he needed. The move was made easier, too, by the fact that we lived in the same city, and he and I spoke a few times daily by phone. He ate dinner with us a few times a week, too, before he moved into our home. Every time I revisit his move, I know had that not been the case we would have had a harder time making him feel welcome. He would have had a harder time even being here with us, but as it was, our daily lives and our home were already familiar to him. His move in October of 2015 was three months before my younger daughter’s painful and barbaric reconstruction and seven months before the diagnosis of my older daughter’s breast cancer and my sister’s metasticized colon cancer, now in her liver. He was with us, thank goodness, as his health began to deteriorate, when he was hospitalized with pneumonia – only the second time in my life my dad had been in the hospital – and when he fully recovered. He recovered because of his angel of a caregiver we’d hired. He was home and himself in time to celebrate his 90th birthday, one he’d eagerly awaited. He was also home, but we were in Houston visiting our younger daughter, two months later, when he fell and broke his hip. We made it home in record time after receiving that call. Our older daughter immediately drove to our home and was with my dad (whom she dearly loved and still does) and his care-giver when the ambulance came. We met them in the Emergency Room. That fall resulted in surgery. It was early February, 2017. My daughter was finished with her chemo and surgery. We were awaiting her reconstruction (not the kind her sister had endured). The surgery allowed Parkinson’s, which had to have been malevolently hiding in his body, to emerge and emerge in its last stages. Therapy was impossible, though my dad gave it his best effort. Finally, sometime in March, we brought him home. He had a hospital bed from his bout with the pneumonia. He was mostly cognizant, now 90, but weak. He continued to weaken. Meanwhile, my sister was holding steady – no news of a new cancer – but suffering from her fibro, suffering worse than before her chemo treatments, and the surgery for my daughter’s reconstruction was set for a day in April. We didn’t see my sister. She had moved 120 miles from us six years before, and she was not able to even travel that distance. We’d had our hands full the last three years, no time to visit her, so we simply didn’t see her. That unfortunate reality will haunt me the rest of my life. Even so, we had experienced victories – both daughters were cancer free, and my sister’s liver cancer had been surgically removed. We would have shared a collective sigh, but we were learning to take nothing for granted. One week from the day that my daughter’s reconstruction surgery was scheduled in Houston, my dad’s hospice nurse said she wasn’t sure I should plan to be in Houston with my daughter for the surgery. That was the first real alarm sounded about my dad’s condition. We knew, of course, that he was failing, but since he continued to converse with us, to hug us, and show his usual level of affection as the father and grandfather he’d always been, we had lulled ourselves into believing he’d be here much longer. We should have known better, and I believe somewhere we did know better, but since we didn’t want to know, we all behaved as though the time for his departure from this earth and from us was still somewhere out there in the “future” instead of how his hospice nurse sounded when she informed me about my daughter’s surgery. Her tone, though soft and gentle, left no question. My beloved, precious father was about to depart this earth, something he’d wished for since my mother died, but in doing so leave us, something he was reluctant to do. Looking back now I realize all the signs were there that he wasn’t long for this world, but we had been through enough by then, three cancers in as many years, that we needed the man he had been, the strong patriarchal figure who loved us all fiercely, who could fend off any dangers that might threaten, and a man we all loved beyond description and could not imagine having him gone. Try as we might to pretend it wasn’t so, my dad was dying and dying soon. My younger daughter, still in Texas, drove over on what we later knew was the last Sunday of his life and had a tender visit with him, a once-in-a-lifetime kind of visit. My older daughter, living only nine miles away, saw him often, and he knew it. He was their darling grandpa, and they would not lose him easily after losing their grandmother almost nine years before. I had been with him through it all, and yet, I began second-guessing myself. Had I done enough? Had I loved enough? Had it not been for his angel of a caregiver who ended up giving care to each of us, especially me, I know his death would have been so much harder. Even now, close to two years from that time, my breathing changes and my insides turn to jelly thinking about that time, thinking of losing him, thinking of what I was still to lose that I had no knowledge of then. My sister was not able to visit our dad, but when he died on the exact day of my daughter’s anticipated surgery (which had been postponed), she did manage to make it to the visitation and funeral. Her meds contributed to her not being quite herself, and it was as though she floated through most of it all. She, quite simply, wasn’t all there. Little did I know while losing my dad in 2017, that I’d lose my little sis and only sibling in 2018. Little did we know. That will be a story for another day. Too much to jump into now. Too much and too fresh. It’s been four months since we said good-bye to her. Too fresh. Yes, that experience will be another story for another day. Today I attended a funeral with my 88-year-old dad. It was the funeral of a woman who lived across the street from my family when I was growing up, a woman for whom I feel much admiration and affection. She and her husband, along with their children, go as far back as my memory goes of my family living on that street. We moved in when I was three months shy of turning four, and they were across the street two doors down. At that time they had three children; the other three would come later, as would my only sibling. When we moved to that street, I was still an only child. I guess my parents celebrated the move by conceiving my little sister who was born nine months later. As we sat in the church today, my eyes on the grown children mourning their mother (my friends from childhood), I thought about that street and our years growing up there. I thought about their house and the people in it. I thought about their family of six children and how to me, one of two children, it seemed to be a house full of laughter and fun, a mysterious way to live having all those siblings. Of course, our house had plenty of laughter and fun, too, but I didn’t have all those siblings. And even though at the time I could hardly stand the one sibling I had, wasn’t it perfectly natural to think having more would be preferable? At least in theory? I thought about the fact that of those six children, one of them became my sister’s best neighborhood friend. I thought about their mom, of course, and their dad who pre-deceased her. I thought quite a bit about all our moms, houses, and all our childhoods. Sharing a street growing up means sharing a part of your own personal history. It means sharing a collective memory. We can all remember the saplings that have now become proud and beautiful trees, remember the daisy chains we made while sitting in the grass (do children still sit in the grass? ), remember the boys (and sometimes the girls) drinking from water hoses, remember the small fleet of our bikes and riding them together down the street and beyond, remember climbing trees, remember baseball games in an empty field, remember the voices of our mothers calling us home from the porch instead of a cell phone, remember when our street that was originally gravel was paved, remember the birth of every family’s younger children, remember Halloweens after Halloweens, trick or treating together in a band of goblins made up of various ages and sizes, older siblings responsible for the younger ones as we walked the boundaries we’d been given. There was no need for our parents to walk along with us. It was such an innocent time. We remember and remember. There were many houses on our street with children, and when we were all playing outside, we were quite a number. Of course, we didn’t all play together. There was a natural pecking order, and it was determined by age. It was as much a rule of nature on our block of that street as day following night, and it was something to which we strictly adhered. After all, it gave us a much-needed break from playing with our siblings. I thought about the fact that since I was only three when we moved there, I wasn’t allowed to cross the street, so I sat on our front steps waving to the little girl (not much older) who lived directly across the street. She’d wave back, and it seems now that we sat there for hours waving and grinning at each other, but I’m sure it wasn’t for that long. I do know it was everyday. I suppose we had to wait for a parent to walk one of us over to the other. That little girl and I grew up together on that street, as did the family sitting in the church today saying good-bye to their mother, and we remained close friends. She was my best neighborhood friend. Don’t we all have one? We all grew up on that street, all of us from the different families. All the way up. We all started school on that street, and we all graduated from high school while living there, too. When we were in lower elementary school, most of our families had only one car. Our dads would car pool to work – though not all to the same place – and so our moms would car pool taking us to school. Sitting cramped in an automobile decades before required seatbelts is an almost indescribable experience. Later, when we were older, we formed unplanned gangs with the other neighborhood kids from other streets to walk to and from school. Most of us went on to graduate from college, most of us from this blue-collar neighborhood with parents who badly wanted college educations for their baby-boomer children. All of us married while our parents were still neighbors, with some of us still living at home. Now we’ve all lost at least one parent, some of us both. Now we know the perils of adulthood, that good marriages last but bad marriages don’t. All our parents somehow had good marriages. Some of us weren’t as fortunate. For some of us it took more than one marriage to get that good one. We know the joys and the trials of parenthood, and we certainly know the grief, the raw grief of losing the parents whose voices called us home in the evenings and worked to give us everything they could, including a childhood worth remembering. And they gave us each other. We don’t see each other much these days, but we know we’re all only a phone call or Facebook post away. And we remember. I wish I could send a text message to God. Oh, I know I can pray, and I do, but wouldn’t it be nice to send a text message and hear that little notification sound a few seconds later, look down at the cell phone screen, and read His answer? It would be, pardon the pun, heavenly to get that instant answer from God. At first when I thought of hearing the sound that would mean I’d gotten such a text, I thought of the alert sound I have now. It hit me only a few seconds later that, of course, God would have His own alert sound. It would more than likely not be one that comes already installed on the iPhone. I guess I could spend hours simply trying to imagine what God would use for his text alert sound for my phone. Maybe he’d use the same sound on all our phones. No matter. The comfort that would come from such a tangible communication from the Almighty, the Holiest of Holies, simply can’t be matched. Just imagine that you’re in a committee meeting, discussing something on the agenda, speaking an opinion or idea when, in the middle of that little speech, we all hear God’s text alert coming from the phone in YOUR purse or pocket. I would imagine at that moment we would all pause to check our own phones. too. After glancing at the phone screen, you (if the speaker) might continue speaking as if you had been given an affirmation of your idea, or you might yield the floor (depending, of course, on what God said in his message to you). Should that happen, the rest of the group could guess that your idea wasn’t exactly to His liking. Imagine praying with all the intensity and faith we have on behalf of a loved one or friend, even for ourselves. Imagine how absolutely wonderful it would be to finish the prayer, say our Amen, and in less than a minute hear the Godly text alert from our cell phone. What a comfort it would be to know that our prayer had reached God’s heart just as we had hoped it would. I’m sure it seems silly – and even a bit irreverent – to speak about God in cell phone terms. I mean, would he send a smiley face icon to put our mind at ease about a problem we have or if He were especially proud of us at that moment? Would we get a lightening bolt icon in the middle of an argument to let us know we needed to change directions, that we’d gotten it wrong? Maybe it would seem like a nudge to let the other person make his or her point instead. Think of the possibilities. Who would need the weather channel if our cell phone, after sounding God’s alert, would show us a thunder cloud icon? NO, wait – I imagine if God were to exchange text messages with us, He might limit them to our prayers or serious situations going on in our lives. Even in this age of digital communication, I doubt God would opt for the frivolous. We’re now encouraged to check in at church on our cell phones so that people know we’re in worship. Think of sitting in your pew, checking in your location, and suddenly getting a thumbs up text response from God. We know He can use all things for good. Maybe soon it will be texts or Facebook! Be ready. Should you hear an alert sound you did not choose for your phone, you might be getting a more direct communication than you expected………. Lord, I come to you this morning humbled by all that you do for us while we go about our busy days, rushing from one obligation to another, tending to details that seem important now but that are of no importance in eternity and certainly not in our walk with you. I come humbled by, once again, your movements in our lives, your daily attention to us that we either disregard or don’t take the time to notice. You are the Master, the Redeemer, the Holy of Holies, and we are but your children, children who sometimes think we know it all, can do it all, and then can handle the consequences of our actions. Sometimes we forget to let you in, to make room for you in our day, to acknowledge that without you nothing is possible, but that through you all things are possible. Yesterday Leisha and I, as you know, drove to Houston. She put money down toward a house there. It has been my dream since they moved to Malaysia that they would be back stateside, back to where we could love them and interact with them. Now, because of my daughter’s cancer, they are coming back. O, Lord, I do not believe You bring cancer into people’s lives, but you have used Leisha’s cancer to move that family closer to us for her treatments. You found a house for them, too. Oh, the wonders you perform! Pity we don’t recognize them every time. What a shame we only recognize them some of the time. Tuesday, September 9, Leisha had a mastectomy on her left breast. The cancer was invasive, and (as you know) her treatment will be the full regimen to prevent its reoccurrence. It has been a long and trying three weeks. Seems like it’s been much longer than that, but I suppose that would be because we’ve known of the diagnosis since the end of July. My daughter has been cut, poked and prodded more than anyone deserves, and yet I know there are those worse off than she. I know there are children who go through torture from the monster we call cancer. Still, she is my child, and so to watch her walk this journey is to feel a small bit of the anguish You felt when You watched Your beloved son be sacrificed for our sins. Oh, how hard that must have been. We parents sometimes forget that you have suffered the greatest grief a father can ever suffer. Lord. Be with Jared as he serves now as both father and mother to the girls in Malaysia, awaiting their move back to the states in December. He is facing so much, and he needs Your divine guidance, as we all do. Lord, bless my Leisha as she goes through the treatment she is facing for her cancer. Bless her and help me, and all those who will walk through it with her, to be who she needs when she needs us. Help her to move closer to You as she makes the journey of cancer recovery. Hold her close. Bless Laura as she mothers, in her endeavors serving You, in her marriage with Craig, and in all things. She is such a servant for you. She tries so hard. Bless my sister as she faces her fears about her chemo, Lord. May her cancer walk bring her closer to You. Protect her and keep her, even when she doesn’t recognize it is You who are always doing those things. May she realize, as we all need to, how present You are in our lives. Bless David as he struggles to help her. May he hear Your voice and follow You as we all should. Bless my sweet husband whose love for me continues to model your commandments, and who takes life as it comes. Hold and protect him, help him work even those he is tired and would rather not. Please remove any undue pressure he may feel. Help me to keep from adding more pressure than he already has. Bless my father, one of your children who tries to grow closer to you every day. May He know your love and your acceptance of him just the wonderful way he is. Help me to be the daughter he needs me to be. Lord, help me to catch fire for You, to be what I need to be, to have my heart break over what breaks yours. Guide me to help those who need it, and to find a tenderness within me to help me accept all people, to meet them where they are, and to give of myself to them. Lord, help Mark and I to manage our finances. Please protect us from foolishness and mismanagement as we go through our days so that we can honor our obligations and live with freedom from worry. We need your help with this, Father, as I’m sure You know..send your Holy Spirit to guide us in all things, even our finances. In Your holy name I pray and that of your beloved son, Amen. I started this post on Tuesday morning, September 2, but apparently I didn’t need to finish it until this morning. TODAY. Woke at 3:36 a.m. When that happens, lately more often than not, I wonder in my semi-conscious state, what reason is behind my waking. Is it that I woke myself by rolling over? Could it be that I’ve been wakened so that I can contemplate the day ahead? Am I called to pray? In this case, awakened on this particular morning, I knew I certainly had much to contemplate and more than enough to approach with prayer. TODAY marks one more week before my daughter’s date with an operating room at MD Anderson Cancer Center in Houston, TX. One more week until we, her husband, her parents, and her sister will be there waiting, waiting, waiting, to hear the doctor’s words as he exits the OR and tells us what he found. One more week until the baby I birthed 36 years ago knows for sure that her cancer is contained, that it will not interfere with her mothering of the babies she’s birthed in her adult life, those that she now holds most dear to her. One more week to worry, to dread all things connected to surgery, to fear hearing the wrong news, to hope and pray of hearing the right news. One more week from today. TODAY. My sister wakes to start a new chemo regimen necessitated because her body has rebelled against the original therapy prescribed by her oncologist. Yes, my sister and my daughter both have cancer at this moment in time, this blink in our universe, which is much shorter than how this particular blink in our family feels. Today my sister will have yet another needle feed her body life-saving chemicals that just happen to make her life sometimes not worth living. In this case, the cure really does appear to be worse than the disease, although logically we all know better. TODAY. Seven days left to be ready to face my daughter’s surgery, put on my best mom face, the one that has comforted her all of her life and will comfort her in this, her hardest obstacle she faces so far. May I wear the face she needs to see, say the words she needs to hear, and be the mother once more she will require (even though as an adult she feels so much more independent). After her surgery, once released from the hospital, she’ll come to us to recover while her husband flies back to Malaysia (where they presently reside) to his job, but more importantly to their two oldest children who need at least one parent with them as they experience their children’s understanding as to what is happening with their mommy and why she can’t be with them. Once again in my life I wish I could be in two places at one time. Is there anyone who hasn’t wished that at least once? How I wish I would be here with my daughter and yet there with my grandchildren. Good that I realize that though I can’t manage quite a feat, our God can manage that and so much more. Our God can watch over my daughter, be near her (and all of us) through her entire ordeal at MD Anderson, carry her into the operating room, guide her surgeon’s hands, and even read the results of her pathology tests with the specialist who will physically hold the reports in his hands. Our God already has next week handled. He already knows those days that we can only this morning imagine. He can be with my grandchildren in Malaysia, too, comforting their children’s hearts, filling the emptiness that is the place where their mommy belongs, until He sends her home so that she can fill it once again. Our God is with my sister during her chemo (another case of my wishing to be two places at once), guiding those that administer her treatment, and in the days following it when she experiences the weakness, the dehydration, and other side effects, He invites her to lean on Him in the darkest moments. That last part is something I must remind myself to do each and every day, I who read morning devotionals, pray regularly, believe that I trust in God, that I trust my loved ones to Him. Still, I must remind myself to lean on Him in my darkest moments, to bring my fears to Him, and to let Him still my internal chaos. This morning I will quote the Psalmist who wrote, “This is the day the Lord has made. We will rejoice and be glad in it.” Psalm 118:24. May I remember to quote it as my daughter is taken into surgery next week, as my sister faces down her illness, and as any and all of us think certain days can’t be faced at all. God is good. All the time. Just because we don’t understand His ways can never change that fact. In a little book of morning readings a couple of days ago, on the very morning that my younger daughter’s two little girls prepared to fly back to Kuala Lumpur with their dad, her husband, I read a message printed in a stranger’s book, one that is meant for millions. It’s a popular devotional that is based on scripture, a book I try to read each day. Each entry is always meaningful, but that day it was as though it was meant especially for my family, more especially for those of us with a part in the activities surrounding the departure of those children from their mother. Funny that in an ironic way often the messages in that book seem to be speaking directly to me. No doubt many people who read it each morning feel the same way. And yet, I choose to believe that different days resonate with different ones of us depending on the events of our lives. That morning was my turn. The words in the book that morning spoke of being in the midst of a maelstrom, and were we ever in one that day. Have we not all been there? Is there a person among us that has known only peace, only laughter, only health, only joy? Is there such a person that has yet to experience troubles, tears, illness, sorrow? Is there a person who has not at some point ever asked why? That morning as my daughter hurriedly packed the very last of the bags that the girls and her husband would carry home, as she checked and doubled-checked her children’s carry ons for the plane, making sure favorite snacks were visible and handy, that the personal electronics, loaded with favorite game occupied the assigned pockets, art books and colored pencils were stowed properly, their security blanket animals that soothe them to sleep nestled within a short reach (a task she’s done countless times for a flight that lasts 16 plus hours), I knew her heart was heavy. At the same time I was rushing to put the finishing touches on a photo album for each girl, a tradition that started with their first trip home after their move to Malaysia. This year I’ll also make little brother’s first one when he leaves. They hold precious pictures to mark our time together, to help remember their trip. I wonder if those books are as much for me as for them, even though I don’t make one for myself. After all, it’s crucial to me they never forget. The weight of my heart matched my daughter’s, with one exception. She had never sent them home. She had always accompanied them. That day was a new challenge for her, for my girl who needed no new challenges after learning of the cancer that kept her in the states while sending her two older children, still young, home to start school, to find comfort and distraction in routine, surrounded by the familiar. The cancer kept her on the ground while they took to the skies. Even before we had feasted our eyes upon them long enough one last time or hugged them half enough times to satisfy our need to hold them close (is that even possible with grandchildren? ), the girls and their daddy were off for the Houston airport where their mommy, my sweet daughter, would drop them, those most precious to her, save for their little brother, and stay the night to meet one last doctor on Monday at MD Anderson. One last time she would hear what is to happen on September 9 when she trusts her health, her life, to those who are said to be experts at saving it. One last time to hear how her body will be forever changed. It is her life we want. Everything else will be lagniappe. She would meet with the plastic surgeon, and that doctor plays a vital part in this process we now talk about with regularity, something ingrained into our lives, but that until three weeks ago, we’d never had to consider. Yes, that doctor is important, but life……life, to see her children become adults and have their own families, to grow old and content with her husband….that is paramount. So I was left to seek God in the midst of this maelstrom, to speak His name, almost the only word I could mutter, when other words choked in my throat, when instead of watching my daughter’s car leave my driveway, I wanted to run and stop it. Could stopping it stop the future, the plane, the surgery? I will not waste my time wishing for a different set of circumstances. Not true – I will TRY not to waste my time wishing for something over which I have no control. Control, that illusion that I’ve sometimes believed I had. I have already been taught that I have no control over our lives. It appears I am to be taught once more. In truth, if I’m painfully honest, would I really want it? On the day that my daughter drove her precious cargo to the airport, the first time in many that we have not done the driving because she, too, was always leaving, we were – and are – indeed in the midst of a maelstrom. Today, typing these words, we are in that raging storm that God sometimes allows around His children. Still, with one utterance of His name, the seas calm, the wind slows. It may only be for a moment. I need to utter it often. While I battle the pain of the day, the day of departures, the day that meant the disease we’d met is real, while thoughts whirled all around me, I remembered the name that has the power to bring peace to the chaos, the name of the one who holds us all, who can use this circumstance, this storm, for His purpose. I remember that He holds my daughter and her children just as He has held all of us who need Him and ask. I pray the serenity prayer again. God grant me, please grant me. For one special moment I have that peace that we find so hard to understand. This peace I wish for my daughter. This peace she deserves. This peace she will have. In a little book of morning readings a couple of days ago, on the very morning that my younger daughter’s two little girls prepared to fly back to Kuala Lumpur with their dad, her husband, I read a message printed in a small but powerful book. It’s a popular devotional that is based on scripture, a book I try to read each day. Each entry is always meaningful, but that day it was as though it were meant especially for my family, more especially for those of us with a part in the activities surrounding the departure of those children from their mother. Funny that in an ironic way often the messages in that book seem to be speaking directly to me. No doubt many people who read it each morning feel the same way. And yet, I choose to believe that different days resonate with different ones of us depending on the events of our lives. That morning was my turn. That morning as my daughter hurriedly packed the very last of the bags that the girls and her husband would carry home, as she checked and doubled-checked her children’s carry ons for the plane, making sure favorite snacks were visible and handy, that their personal electronics, loaded with favorite game occupied the assigned pockets, art books and colored pencils were stowed properly, their security blanket animals that soothe them to sleep nestled within a short reach (a task she’s done countless times for a flight that lasts 16 plus hours), I knew her heart was heavy. At the same time I was rushing to put the finishing touches on a photo album for each girl, a tradition that started with their first trip home after their move to Malaysia. This year I’ll also make little brother’s first one when he leaves. They hold precious pictures to mark our time together, to help remember their trip. I wonder if those books are as much for me as for them, even though I don’t make one for myself. After all, it’s crucial to me they never forget. The weight of my heart matched my daughter’s, with one exception. She had never sent them home. She had always accompanied them. That day was a new challenge for her, for my girl who needed no new challenges after learning of the cancer that kept her in the states while sending her two older children, still young, home to start school, to find comfort and distraction in routine, surrounded by the familiar. The cancer kept her on the ground while they took to the skies. 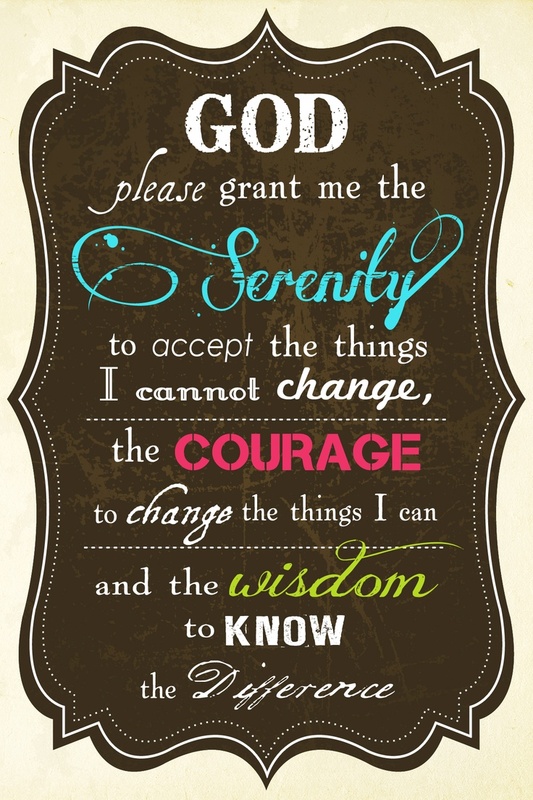 Praying the serenity prayer this morning. Over and over again. Yesterday evening my daughter and her husband, who had been in Houston for doctor’s appointments pertaining to her newly-discovered breast cancer, returned to us. We were in touch the five days while she was gone, a quick text here, a hurried phone call there, telling me what the last doctor had said, what the last test had revealed, which results we were to wait on. It’s hard to follow those kinds of conversations. I felt I had a general understanding of what was happening, but I knew I only had information enough to understand the very tip of the iceberg that is to be her(our) journey from here, on this side of breast surgery and the unknown of treatment, to the almighty there, her final recovery. It took a few hours after their return, with the everyday business of feeding children over, before I could actually sit down privately with my daughter and hear what needed to heard. What I so badly wanted to hear, but what I so badly was afraid to know. Funny how we both have husbands, and hers had even been with her through each appointment and exam, but when it came time for mother and daughter to address the latest developments, the absolute vital information of the breast cancer, mother and daughter wanted complete privacy. Only her older sister would have been included had she been with us. It took going out to her car, parked in my driveway, to get that privacy. Her husband taped each conversation with the doctors, and so because we couldn’t get the one I needed to hear to play inside on my speakers, we took to the car. We escaped to the car where we could listen, and where there would be no interruptions. There, in the dark of her parked car, the security light above my carport shining shadows around us, there is where I heard the voice of my daughter recorded on her phone speaking with the man who would remove her left breast. In that conversation, taped during the second visit to the surgeon/oncologist at MD Anderson, the one where he marked on her breast exactly where the cancer was (most of the breast) and marked what the plastic surgeon would need in order to take pictures for both of them, I could hear my daughter’s voice asking questions. I could hear the doctor providing answers. I could hear him offer information she hadn’t yet asked for, the way any seasoned doctor can. I could hear her stress and his professional calm. There, in the shadows of her car, we listened. There, in the shadows of that car, we were a unit. The two of us. Mother and daughter hearing that a part of my daughter, a physical part of the child I’d given birth to, was to be surgically removed in order to save her life. I could see her silhouette in the shadows. I could see her sitting straight, her natural posture, as though we were listening to someone else’s conversation with the surgeon. As though the percentages and statistics he was quoting were for someone else. In truth, the numbers are good. We are encouraged. Still, listening to those disembodied voices discussing a killer disease inside her body was hard. Shortly after the conversation started, and I could hear their voices, I took her hand. I took her hand thinking I wanted to reassure her, as we sat there in the shadows, that all would be fine in the end….on the other side of this journey. I held it a long time. At that moment it was important to me that she feel the love coursing through me to her. I wonder this morning if I may have needed the feel of her hand in mine, needed to touch of my child, as much as I thought she needed to feel my reassurance. Oh, the things we tell ourselves. Is there anything more precious than our children? Now it is Saturday morning. Two of my daughter’s three children sleep upstairs, my two precious granddaughters who live half a world away most of the year. I learned yesterday, when I learned the date of their mother’s surgery, that they will leave us on Sunday evening, tomorrow, and return to their home in Malaysia. Their dad will fly with them so that they will start their school year, though a few days late, reunite with their friends, and settle into the routine of their lives while we wait for the September date of their mother’s surgery. Their little brother will stay here, too young to be gone from his mother that long. His sisters, thought to be old enough to handle it, have no choice. They will go, whether they are old enough to handle it or not. When their dad returns alone for the actual operation at MDA, the girls will stay behind to be shuffled between their live-in housekeeper and their closest friends and those parents. They will be half a world away with no relative anywhere near them. I pray for serenity. How I pray for it over and over again. Each time they make the trip here to visit, the leaving is heart-wrenching. Each time. This time I fear their leaving in a way I haven’t needed to before. This time they leave without their mother. Routine is good, yes, but there will be no routine until she returns to them. They are returning home to an illusion, and it is not of their choosing. She is the sun in their universe. She is what warms their little lives. They will enjoy their friends, yes. They will start school and have the fun that school children have starting a new year, yes. But it will all be done against a backdrop of loneliness and uncertainty and even fear. It will all be done with an ache somewhere inside their hearts. An ache with their mother’s name on it. Children can feel fear, can sense tension. It comes in all sorts of ways to them. One is insecurity. I, as their grandmother, know all that, of course. Blessedly, they don’t yet. I am powerless to change the scenario, so I pray for serenity. Oh, how I pray. Separation from these children each time is enough of a heartache for me that bearing it is a trial, a loss that takes a toll and takes time to scab. This time, with the worry about their mother and the worry about their well-being without her, knowing they are leaving without the sun that warms their little lives, the uncertainty clutching my heart is indescribable. They will have their dad, true, and yet most of us know that dads are support for Mom, not the center of a child’s universe. Their days will be cloudy and overcast until their mother returns to them. Grandmother that I am, I must admit I was for a moment tempted to fly to them when their dad flies here for the surgery. We all know grandmothers, at least certain grandmothers, can provide the warmth of their mother easily. My little girls and I have that connection, that bond, that love. I would be bringing some of the sun with me were I to fly around the globe to be with them. It was a fleeting thought. I know my daughter needs me here, but I confess I actually did consider it. Dread of their leaving has already crept into my heart and taken its place right next to the dread of their mother’s surgery. Meanwhile, cancer sits in the breast of my younger daughter. Cancer sits in the breast of the baby I carried and the woman I love. Cancer sits in the breast of my grandchildren’s mother, who means so much to them, who is the warmth in their world half a globe away from us. I will take care of her for all of us, and they will once again feel the sun on their faces and in their hearts. One day. Again I type while the rest of my house sleeps, nudged awake early even though it was very late when my head met my pillow last night. I would like to believe it is God nudging me. I want to think He is nudging me awake to remind me that He has all this (as I know somewhere, somewhere in my conscious mind), and that I can let it go. He’ll take care of it. Let go and let God. How many times have I said those words? How many times have I meant them for myself or said them to friends? Oh, how I need to say them and mean them now. Oh, how hard it is for someone like me to fully let go. Time to do my morning readings, my daily meditations, and to pray for serenity more powerfully than I have since my mother’s illness and death, or since my grandson left for Basic Training, but those stories are both for other posts. Maybe even more importantly, it is time to remind myself that eucharisteo precedes the miracle. Time to give thanks for all we’ve been given, for all the times God has pulled us through other trials. It’s been some time since I have posted here. I’ve written a couple of posts, but I’ve kept them private, for my eyes only, telling myself that they weren’t quite ready for public consumption. Now I believe that it was more that I wasn’t quite ready to share them. I’m still not ready, so for now they’ll remain private. John Lennon once said that “Life happens when you’re busy making other plans”, and in some mystical union with the cosmos, I suppose that’s what happened to my family and me this summer. It’s one we won’t soon forget, and it isn’t over. In thinking of that quote often this summer, I realized that though John Lennon might have meant differently, I believe it is God who happens while we’re making our other plans. After all, is God not the creator of our lives? God happens by making His presence known. In early June my younger sister, my only sibling, was diagnosed with colon cancer. Alarmed doesn’t begin to describe our reaction. She lives about two and a half hours down Interstate 10 from me, so not far enough to keep me from being with her for the surgery. In fact, I’d already been with her for a previous surgery about 18 months before, though that one had nothing to do with cancer. But, as Lennon famously said, plans sometimes don’t necessarily work out. One of our daughters and her husband with their three children, 9 years old and under, currently live in Malaysia. They visit every summer and at Christmas. We live our days looking forward to these visits, and their arrivals in Houston are grandly anticipated for months by the whole extended family. My husband and I, the grandparents, always, always meet them at the airport. There’s nothing quite like seeing a grandchild run to your arms with a delighted smile on her/his face (yes, just like in the movies) in an international air terminal. It’s addictive. It’s a natural high some people will never experience, and that’s okay. The lows that are the flip side of that high, the heart-ache of the great distance that separates us for most of the year, balances that high all too well. This time the arrival was the exact day of my sister’s surgery. That airport and my sister’s hospital are almost eqidistance from us, in opposite directions. This time I was not able to be with my sister on the day of her surgery. A wonderful chaos soon enveloped our house and lives, the familiar atmosphere of having our precious visitors from Malaysia, even if somewhat subdued by what was going on down the highway with my sister. I checked on her often by media or phone. She was recovering and waiting for her chemotherapy to begin on August 5. That date was, oddly, the birthday of my older daughter, the one who thankfully chose to live nearby with her family, so it was a date I wouldn’t forget. We were caught up in the swirl of activities that always surround the summer visits, and though I was appropriately concerned about my sister, I was busy entertaining my long-awaited visitors. July 31 was the date of departure back to Malaysia for my younger daughter and her children. As typical of these summer visits that last about five weeks, the first three weeks or so we’re blissful in our happiness of being together and sharing days and nights. We’re caught up in each other’s company enough to ignore the calendar pages that I tear off each morning. The last two weeks are characteristically somewhat less jubilant as reality sets in, and the last few days leading up to their departure is a play in which we pretend to be as happy as when they arrived, while inside we’re all dreading the date that the plane will take off and fly them back across the world. One week before the departure, which was to be on a Thursday, my daughter noticed a lump in her breast. She was concerned, but I was almost, almost (but not quite) sure that it was a fibrous cyst. Many women have fibrous cysts, so I felt that was the easy explanation. Besides, my daughter is only 36. I quickly slipped into denial that it could be anything else. Thankfully, she contacted the OBGYN who had delivered her first two children here, and on the Monday of the very week she was to depart on Thursday, I found myself sitting in one of the local hospitals while my daughter had a mammogram and ultrasound on that breast. Those were done mid-morning. Fifteen minutes after the mammogram, the OBGYN called to say she’d already heard from the hospital, and my daughter had an appointment with a surgeon for that same day at one p.m. Have I already used the word alarmed? Yes. The feeling was there again. There was something suspicious on the mammogram films. A detached feeling of surrealism began to creep into my consciousness along with the fear both my daughter and I were experiencing. We saw the surgeon at one p.m., dutifully carrying the films from the hospital as told. After the examination, he explained that she was scheduled for a biopsy the next morning, two days before her departure home. So the next morning her older sister and I sat, waited, and worried at the hospital while my younger daughter had the biopsy, and not the needle kind. No, we waited for over two and a half hours as her breast was probed extensively. She bled the rest of the afternoon into evening. Upon leaving the hospital she was told that the pathology results on the tissue would be ready either late Wednesday or early Thursday, the very day of her planned departure. Still, the doctor wanted to see her Wednesday morning to check her breast. Wednesday morning, the very next day, she returned to the doctor’s office. He checked her breast and asked what she planned to do for the rest of that day, the day before her planned departure. When she answered that she was planning to pack as though her results would be good, and nothing would prevent her from leaving on Thursday, he felt compelled to tell her the results of the biopsy, although the results were to come from the surgeon, not this doctor. Compassion couldn’t let him send her away to pack for a trip she wouldn’t take. Meanwhile, my sister was awaiting her chemotherapy with the dread that all who have done it know too well and that was now less than a week away. That visit to the doctor, the one where he told my daughter the results, was the only one when I had not accompanied her, and that was simply because I had the children. Also, we were so certain that she couldn’t possibly get results that quickly. We’d been told emphatically the results would not be ready until that afternoon if not the next morning. Plus, we told ourselves, the results wouldn’t come from that doctor anyway. 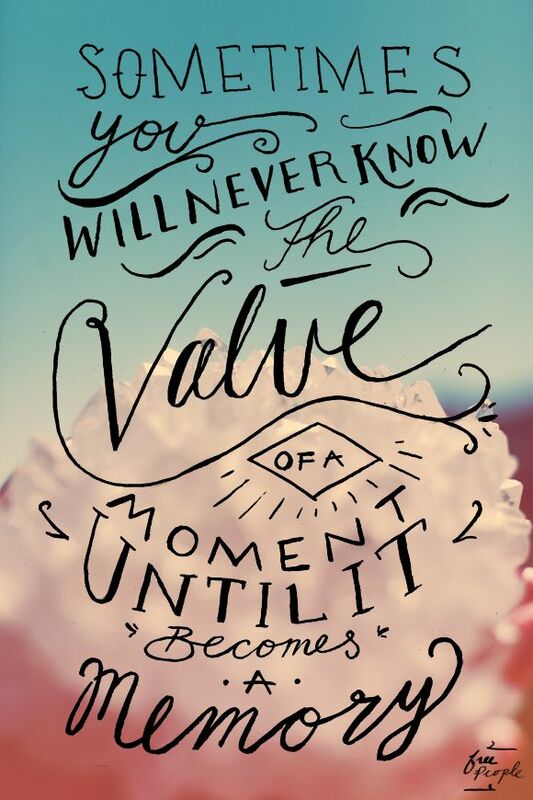 Here we go with life happening in the midst of our plans. She called me from the parking lot of the hospital to give me the news, trying to say it indirectly, under the guise of checking on her children. A mother can read her child’s voice no matter how old the child. It was the day before the departure of my daughter and her children back to Malaysia. Needless to say, that flight was cancelled. The next morning we saw the surgeon, thinking we’d be setting the date for her surgery. By now, of course, her husband was aware of everything and searching flights to get him from Kuala Lumpur to Houston, Texas as soon as possible. From Houston he would drive to us, the two plus hours it takes. After some discussion, the surgeon here suggested that Leisha, my daughter, have her surgery done at MD Anderson in Houston, the premiere cancer hospital in the world, and (again) only a bit more than a couple of hours down the highway from us. Unfortunately, we – as all patients and their families everywhere – are at the mercy of the timetable of the hospital and its doctors. That visit to the surgeon here was on July 31. Her first appointment at M.D. Anderson is August 12. We wait. Right now, as I type this piece, I am waiting. Once husband arrived, and we were (and are) here waiting for that appointment in Houston, wanting to tear those calendar pages faster than the days will pass, my sister’s chemo started. On my older daughter’s birthday. Yes, it’s a summer we won’t soon – or ever – forget. This time I was there with her. She is weak, nauseated, and everything else you who know of it would expect from those chemicals invading her already weakened body. Now it is Saturday morning, the one before the Tuesday that my daughter will meet with those folks at MD Anderson. It’s early. The house sleeps, but I don’t. My sister, some miles down the interstate, stirs in her sleep from the nausea and other side effects that accompany the invasion of her blood stream by foreign and toxic liquids. And a cancer sits in the breast of my younger child, her niece, my 36-year-old baby. Now it sits, but soon it will be removed by the practiced and steady hand of a surgeon. Not soon enough for me. Not soon enough for any of us. My daughter lives with equal dread of the cancer and the coming surgery. 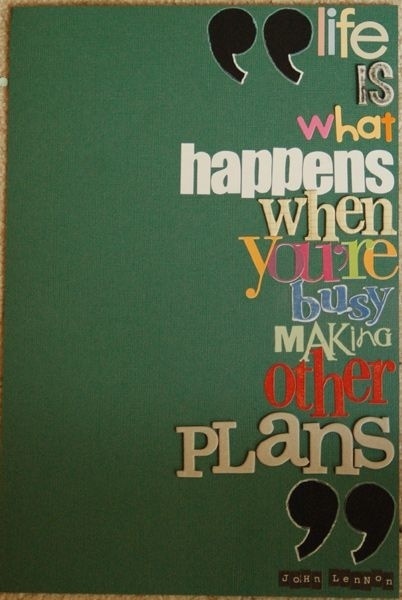 Yes, “life happens when you’re busy making other plans”, it happens all the time. It happens every day. Some days it’s simply more obvious. My sister certainly didn’t plan to spend the last several months feeling ill, having colon surgery, and now looking ahead to months of treatment for it. My daughter thought that on this date, August 9, she’d be back in Malaysia over a week, getting her children ready for their new school year. Instead, my sweet babies sleep upstairs as I type this piece, far from their home half-way around the world, but near the people who love them and can nurture them through their mother’s illness and recovery. So, yes, I suppose we can say that life happens while we’re making other plans. Truly, God (life) certainly happens. With all due respect to John Lennon, He is what happens while we’re making those plans. He already knows His plan, and mercifully, His supersedes ours. My sister moved to Baton Rouge three years ago. More than once she’s questioned that decision. Had she been here when her cancer showed itself, she might have gone to Houston as my daughter will, or she might have chosen to have treatment here. It’s certainly more convenient to stay here, and she was already feeling sick and weak. Now, in Baton Rouge, she is a patient at the Cancer Center there, one that is building its reputation and soon will be a major destination for cancer patients in that area of the South. She is in good hands. Had my daughter found the lump in her breast one week later, only one week (or perhaps, even worse, on the flight back), she’d now be in Malaysia. She would be facing the decision to come back home where the premiere cancer hospital sits two plus hours away from her parents, or staying there where the expertise of those doctors is unknown to any of us, and her family is half-way around the world. Is cancer a God thing? I don’t believe necessarily so. Is it a way He shows His glory? His omnipotence? His power? I like to think so. Absolutely. His love and glory will shine through these two illnesses. 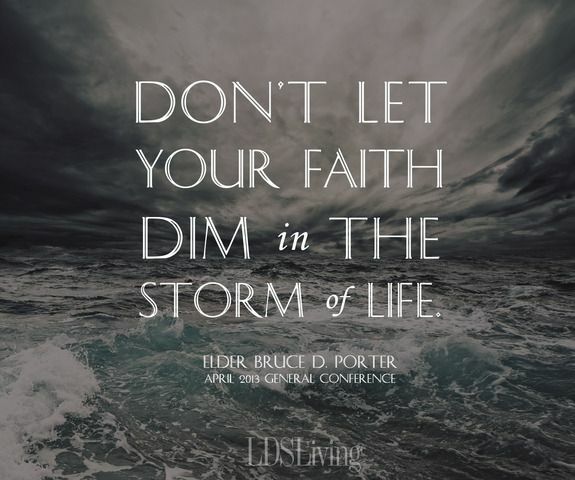 We must do the hard part of practicing patience and keeping the faith. John Lennon’s quote means, of course, that we’re not really in control of our lives. God has known that since the beginning of time. He gave us free will, but he also can step in and rescue us from ourselves. I will try my hardest to remember that He also calms His children when he places them in the midst of a storm. We are having a stormy summer. We await the calm. >What do we do when the “busyness” of our lives, even the “busyness” of God’s work that includes reaching out for our church in our community, leaves us tired? What must we think when we find ourselves tired, even as we think how glad we are that we were there, that we were at the school helping show the children a good time (proudly wearing the shirt with our church’s name on it), or maybe the time we’re at the school to read a book to a class of second-graders, or another time to tuck ourselves into a corner there with only one student, to listen to her, to hear about her troubled home life, and then read her a story (thinking the story will distract her, or show we care, or even help her with reading, when we know what she needs is more than what we can give….but we try to give something?). What must we think when rushing to a meeting of the local Habitat for Humanity, planning to build a home for someone less fortunate, talking about a Faith Build in our community, talking about our church’s place in the inter-faith community to make a house happen, postpones our dinner, and causes our stomach to growl? Shouldn’t these activities give us energy? After all, we’re doing the work of Christ, we’re His hands and His feet, spreading His message (not by words but by action) where people need to feel loved. The same thing can be said about helping the elderly, being there for our parents when they need us, showing patience to them and to our children, to anyone who needs us. What can we do about the weariness that overcomes us when it seems everyone needs us, and there isn’t enough of the “us” to go around? What is the root of this weariness? Is it because the “busyness” of being the hands and feet of Christ is sometimes just that – being the hands and feet, but not the heart? Do we sometimes become so busy ourselves doing God’s work that we forget who is the One we’re representing, the One we’re modeling? 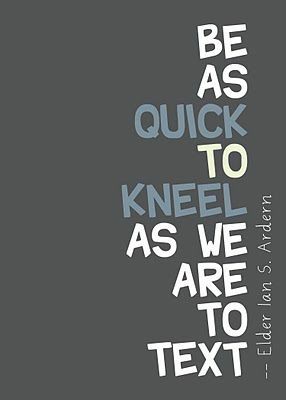 Do we forget it isn’t only US out there, attending the meeting, volunteering at the school, ministering in our way to our parents, our friends, and children? Maybe the weariness comes from the our presuming we’re representing God while forgetting to include God? Are we so busy that we forget to ask for God’s help? Do we forget that we are the heart of God, too, and not just His hands and feet? Do we forget that all things we do should be for the glory of God? Speaking for myself, I know I’m only flesh and blood. I get up every day, drink coffee, and go about the personal business of planning my day, occupied with my concerns and obligations, distracted by the minutia of what the hours before me hold. Most of the time I’m not all that weary or tired…..yet. Most of the time I have the energy, the desire, to live my day out the way I plan. 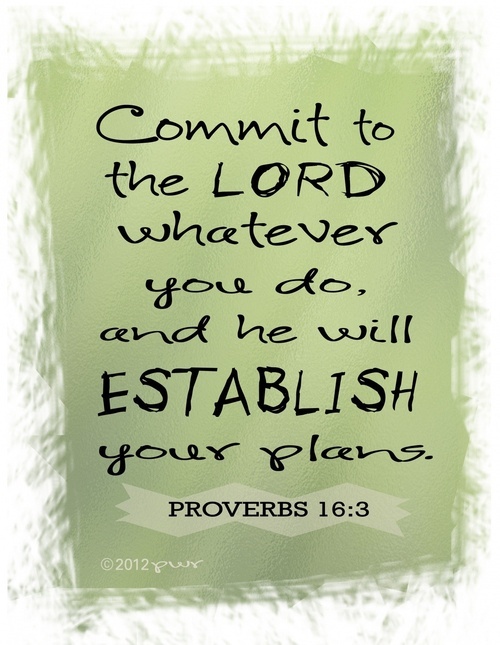 I can always count on a few surprises in my day, and those surprises are sometimes good, sometimes refreshing, making me realize that my plans aren’t God’s plan, at least not as much as I’d like to think. Even when the surprises aren’t the good kind, I’m still reminded to ask of myself, “Who am I to think I control my day”? How good I am at practicing the illusion of control. I’m quite the master. So, where does the weariness come in, why does the faint feeling of fatigue reach my bones when I’ve spent the afternoon helping children who are, for the most part under-privileged, have fun and know that we care about them? Here’s where. When I try to do anything, but especially God’s work, on my own steam, my own strength, and with my own enthusiasm alone, then I grow tired. When I’m doing it with God, when I let God power my energy and be the power behind my “busyness” in His name, the fatigue usually isn’t there, and when it is, I don’t notice it as much. If I remember to include God in the activities, to ask for His strength for the things I’m doing for Him, remarkably there is enough energy to handle pushing myself, breaking through the human condition of needing to stop and rest. When I am also God’s heart and not only His hands and feet, I move to a different plane altogether, one where the strength and ability to do these works in His name isn’t difficult, for aren’t I doing them in love? Aren’t I doing them in love for my fellow man the way what He does for me in love? The antidote for fatigue and weariness when doing what I know to be God’s work is to let God really work through me, to power my hands and feet when I present myself as HIS hands and feet. When I go about my business, thinking I’m doing His work but using my own small store of energy, not asking for His strength to get me through, or His will to guide me as I represent Him, I can grow tired, I can grow weary, I can wonder if I’m doing enough, and mostly, I can grow frustrated. Doing God’s work without including God is much like running on empty. Doing God’s work without including God is more about doing my own work, and no matter how good it may be, it only represents me until I let God in. So that’s it. The antidote to that fatigue and frustration is God. If I always, always let God do His work through me (instead of telling God, “I’ve got this; You can handle something else today”) I will experience renewed energy, renewed gratitude, and renewed spirit. I will experience God. This thought process isn’t new. I know better, but the human in me thinks I can handle most things. The human in me forgets that my Father is waiting and willing to fill me with His sprit and His love so that I truly am doing His work instead of mine, truly becoming His hands and feet instead of using mine in His name while actually drawing from my own shallow stores of energy. Well-intentioned I may be, but only half of God’s work is happening. Yes, His servant (me) is serving His people, but I’ve left Him behind in attempting to do it all on my own. I’ve not offered my activity up to Him, have not asked for His guidance and strength. Don’t misunderstand, there are plenty of times when I do just that, when I know I need Him, I need His strength and guidance to do His work. It’s simply that sometimes I get so busy that I’m even too busy to stop and ask for what I need. That simply doesn’t make sense, and smacks of arrogance on my part. Some of us have to learn the same lesson many times. When will I ever learn? Oh God, my Father, Maker of Heaven and Earth, help me to always, always remember it is YOU who is guiding my attempts to minister, to help my fellow human beings in Your name. Help me to remember to always include You and ask for Your strength. Thank you, Father, for all the blessings you bestowed upon me, and when I share those blessings with others, may I include You, my benefactor, in my feeble and human efforts. I ask this of you in the name of your precious and holy son, Amen. A blog about feelings that need expression. A wife, mother, and grandmother, I have a rich supply of family material from which to draw, but I also want to write about other things that weigh on my heart and mind. We'll see.